The research project Learning and Teaching at the Intersection of Formal and Informal Learning Environments has ended, but we are continuing our work to create meaningfulness, for both children and adults, across different contexts and spaces for learning. 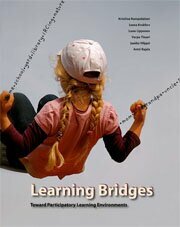 Visit the Learning Bridges research network website (in Finnish). Learning Bridges – Toward Participatory Learning Environments offers perspectives, based on the latest research, for bridging the gaps between different contexts of learning. Besides theoretical research, the book also presents concrete development projects. It concludes with recommendations to practitioners and policymakers in education. It is also suited for a textbook in education studies, teacher education, and vocational further training in various fields. The book is also available in Swedish.